Hank rivet bushes provide a permanent deep tapped hole in think sheet metals or plastics. 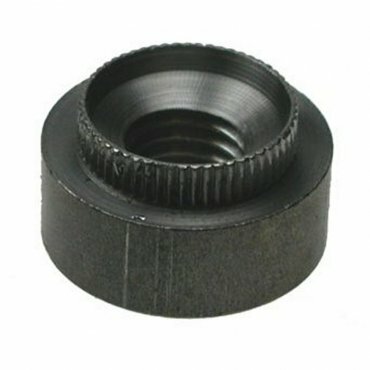 They attach to sheet metal by peining spigot into a round hole in sheet metal. Supplied in a self colour finish. Self colour finishes are plain without any coating. They usually appear a very dark brown or (most commonly) black in colour. Due to having no plating, there is no protection against corrosion. The advantage of these finishes are that due to no proection on the surface of the fixing, they are easy to weld should the need arise.